White Perch is a delicious panfish with white, flaky meat. They are traditionally cooked whole, but the fillets are great pan-fried of sautéed. Rinse fish under cold water, removing any scales. Pat dry with a paper towel. Cut vertical slits down each side of fish, spaced approximately 1/2″ apart. 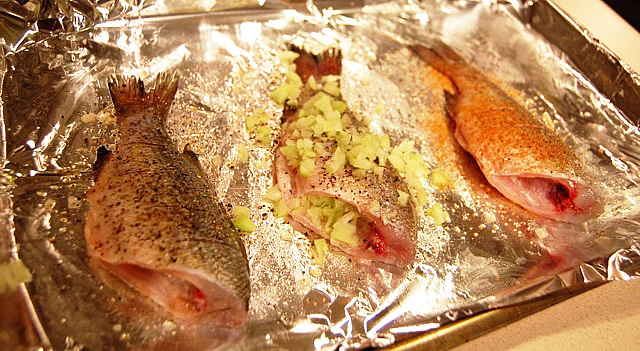 Coat both sides of perch with olive oil. Sprinkle salt and pepper on both sides, or substitute creole seasoning. If desired, cover the perch with chopped celery and cilantro (optional) and fill the ventral cavity with celery.